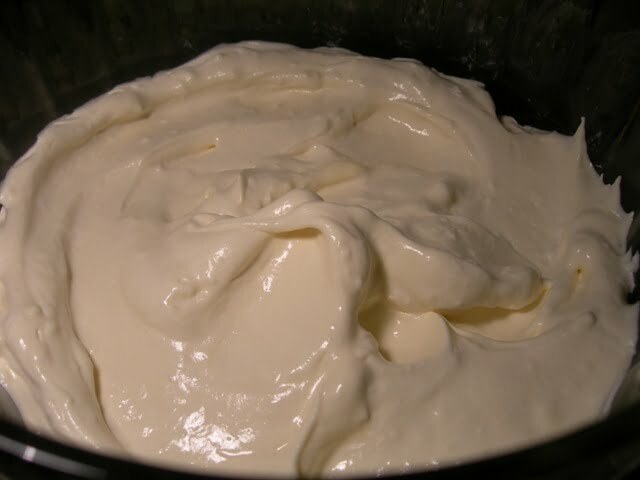 If you need a dessert recipe to feed a large group of people, then you need to try my mother’s Lemon Silk. And the beautiful thing about this recipe is that you can make it a day ahead. This is not an original recipe. My mother attended a meeting about 15 years ago, and a chef from Charleston was the featured speaker. He prepared this dish and everyone raved about it, and my mother has been making this ever since. I have made this dish many times, too, and I always get requests for the recipe. First, you will need a pound cake. I made my mother-in-law’s pound cake, whose recipe can be found here. But if you don’t have time to bake one, you can always buy one in the bakery section of the grocery store. 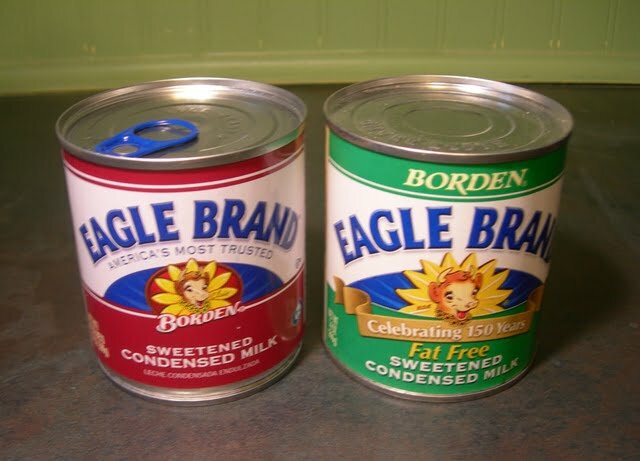 Next, you will need 2 cans of sweetened condensed milk. Notice that one of mine is fat-free. You con’t really need that. It’s just what I had on hand. You will need 1 1/2 cups of lemon juice. You could juice your own lemons, but this makes it so much easier. 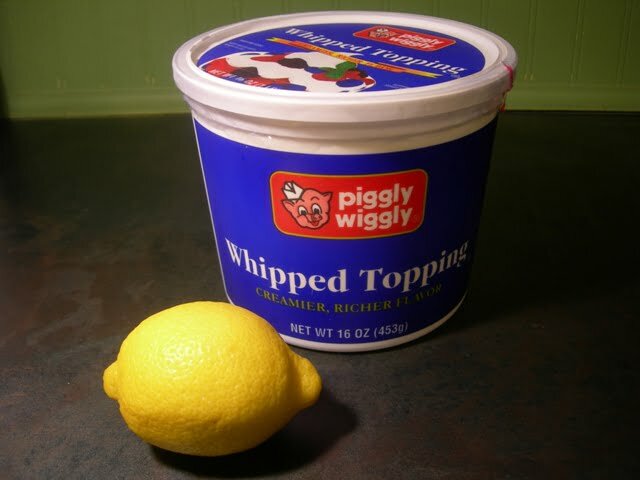 And you will need a 16 ounce tub of whipped topping (Cool Whip) and 1 lemon for garnish. 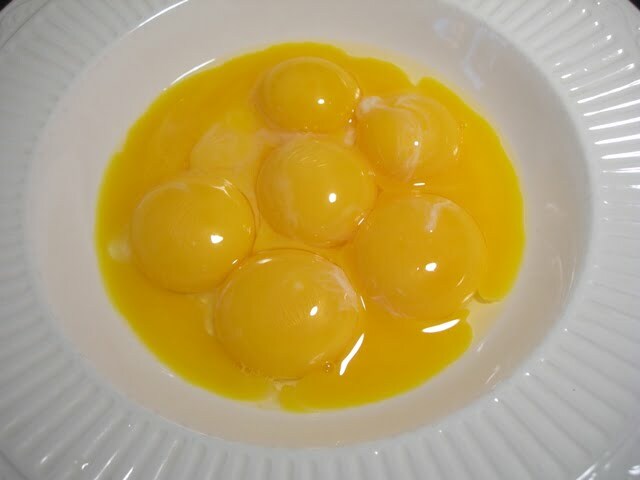 First, separate 8 yolks from egg whites. I save my egg whites and use them in omelets. 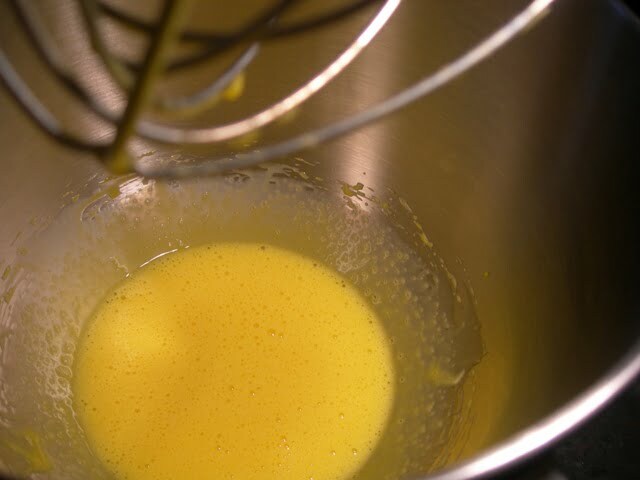 Beat the egg yolks on medium speed until they turn a creamy, yellow color. Slowly pour in the sweetened condensed milk while they continue to beat. Next, add 1 1/2 cups of lemon juice to the mixture and beat until everything is incorporated. If you are worried about using uncooked egg yolks in this recipe, don’t worry. No bacteria is going to grow in such an acidic environment! 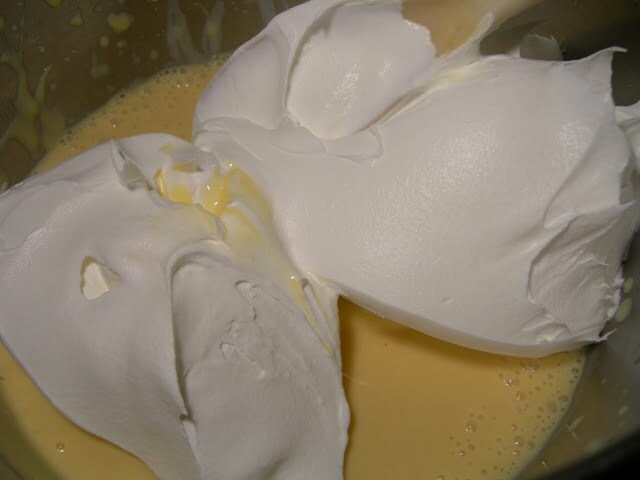 By hand, gently fold the whipped topping into the egg yolk mixture. 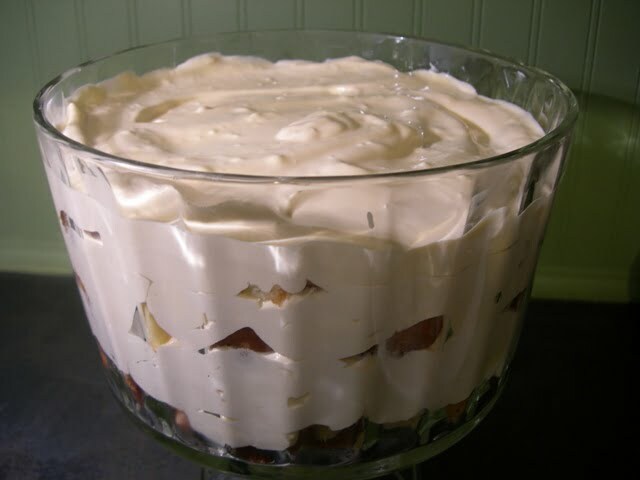 Next, tear some pound cake into small pieces and place in a layer at the bottom of a trifle dish. Isn’t this one pretty? It’s an antique one that my sister-in-law Jean gave me. 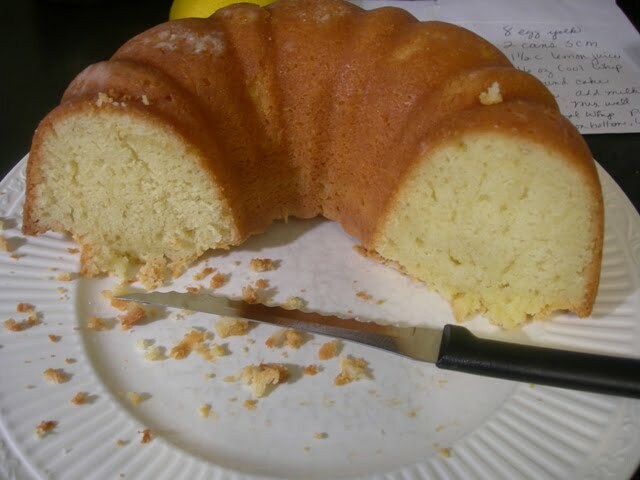 Put a layer of the Lemon Silk mixture on top of the pound cake, and continue to layer until your run out of room. I only used half of my pound cake, and I had some of the Lemon Silk mixture left. If I’m taking this dish somewhere, I will usually make up a small container with the leftovers. using a zester to add some lemon zest on the top along with a twisted lemon slice. Everybody that I know loves this recipe! It’s the perfect, make ahead dessert! This is a luscious, lemony trifle that can be made a day ahead. Everyone loves it! Beat egg yolks on medium speed until they turn a creamy, yellow color. 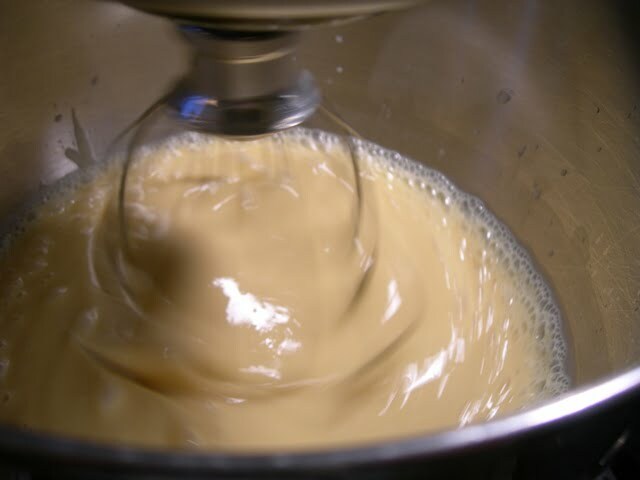 With the mixer still running, slowly pour in the sweetened condensed milk. Add the lemon juice and beat until fully incorporated. 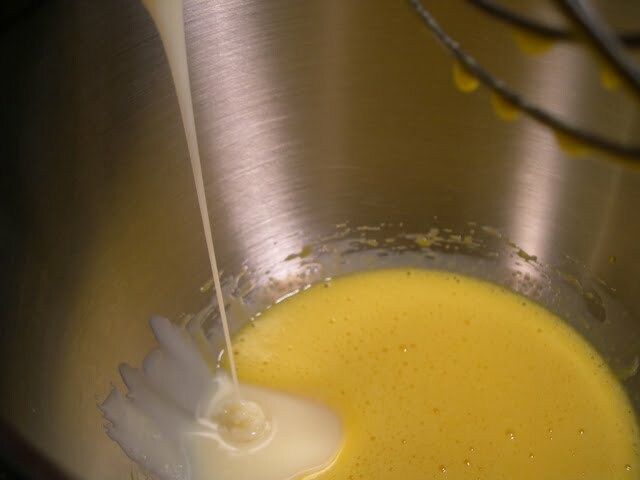 By hand, gently fold in the whipped topping into the egg yolk mixture. 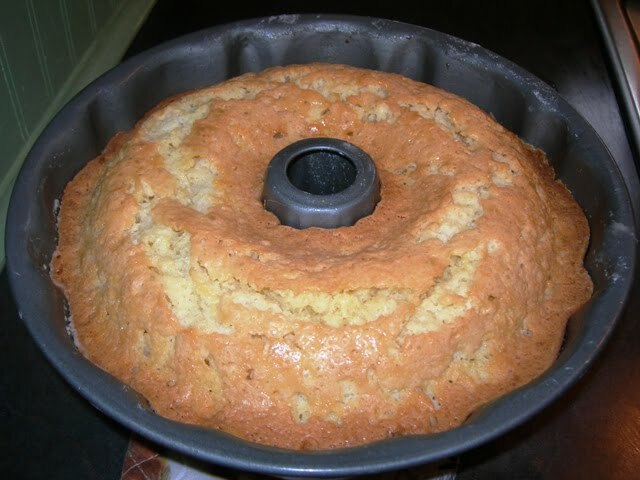 Tear the pound cake into small pieces and layer in the bottom of a trifle bowl or serving dish. Put a layer of the Lemon Silk mixture on top of the cake layer. 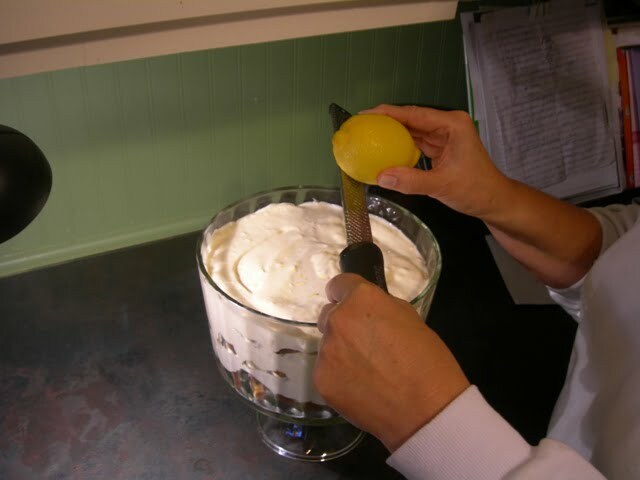 Continue to layer the cake and the Lemon Silk mixture until you run out of room. To garnish, zest the lemon and add the lemon zest on top along with a twisted lemon slice. You can use a previously baked pound cake or a purchased one to make this recipe, and you will probably have some cake left over. This recipe can be made a day ahead. Leftovers keep very well in the refrigerator for several days. You can halve the recipe and serve it in individual dessert dishes. Can you taste the eggs, & what is the purpose of using the eggs? It looks amazing, I just ask because some people don’t like to eat desserts with raw eggs in them. No, you cannot taste the eggs at all. I love lemon desserts and I know that I would enjoy this one. Lemon combined with pound cake has to be a winning recipe! Jane, I’m bringing this to Easter dinner at our daughters in-laws!!! I’ll let you know how everything turns out. This dish looks so “Spring-like”, and perfect for the day !!! Hi, just finished, it’s in the fridge as I type. And it’s delicious (got some on my fingers ) !!! I added some blueberries, I just felt like it. I wish today was Easter! Thank your mom and thank you for posting this. This sounds wonderful! Would it work if i used whip cream? Teresa, I have never made it with real whipped cream. But if you try it, please let me know how it turned out. 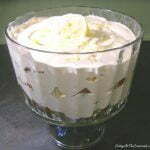 Does the lemon silk trifle hold up well if made the day before? I hope so because I really want to make it for Thanksgiving. Yes, you can make it the day before, and it is also good as leftovers the next day. Hope your family enjoys it as much as ours! I can hardly wait to try the cucumber dressing. I know it made my mouth water when I read through the recipe. Thanks! I need to know how many egg yolks you used….I see 6, but there are also some already beaten in the bowl..Thank…so excited about this! Ah, I love anything that is lemon and creamy! This is perfect, thank you! 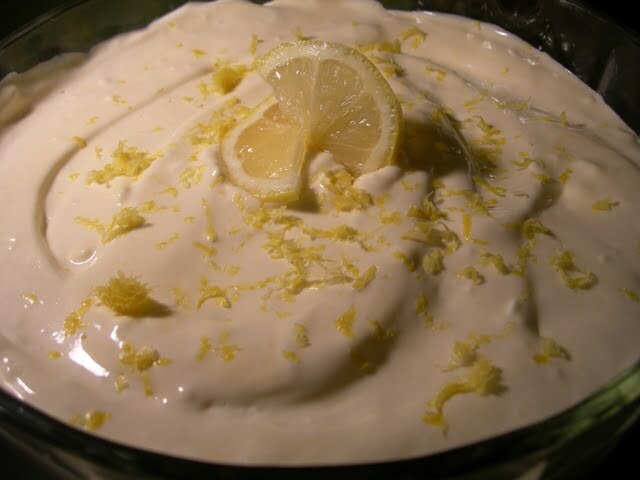 Your lemon silk dessert looks wonderful! 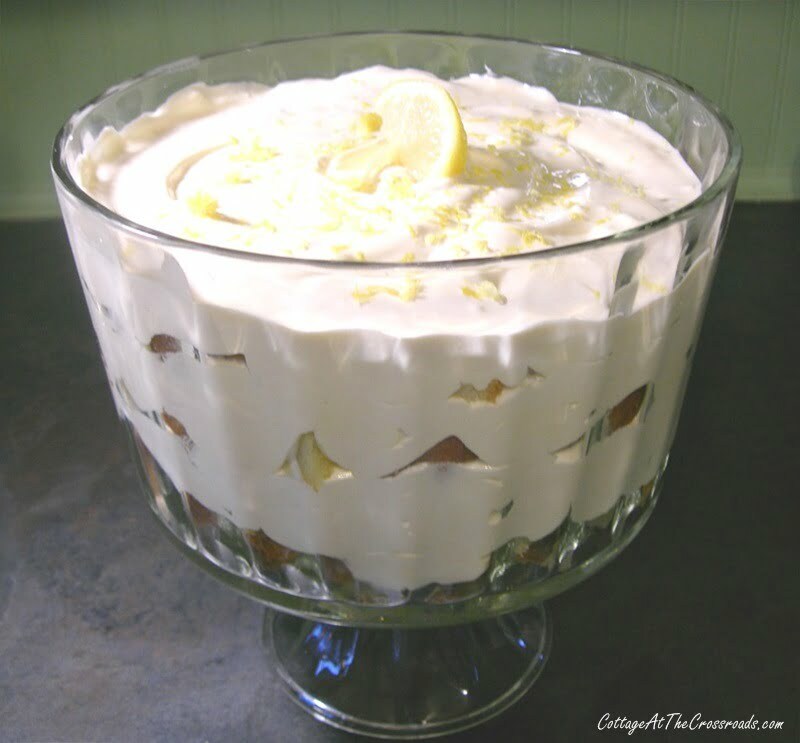 Will have to try this sometime….I love lemony desserts!!! Hope you had a nice Christmas!! Thank you for sharing this terrific recipe at Potpourri Friday! Have a very Merry Christmas and wonderful Holiday Season! This looks incredibly refreshing and light. What a great way to feed a crowd. 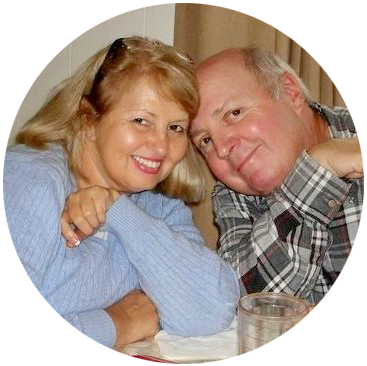 Merry Christmas to you and your family Jane. I have enjoyed getting to know you these past few months. I look forward to more great recipes and projects in 2012. Happy New Year! What a pretty dessert, and I can tell it’s one I’d love! Your trifle bowl is gorgeous. 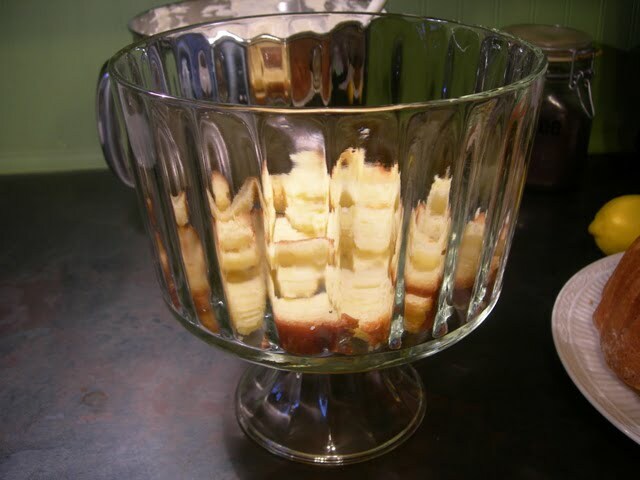 Whenever I make a trifle, I put it in one of my glass salad bowls…..I think I need to go on a hunt for a pretty antique one like yours! Jane, I hope your Christmas is very merry and truly wonderful! My favorite food groups-what’s not to like! I make a lemon ice box cake that is so pretty and delicious too-I will have to share that sometime. Thanks for sharing your mom’s recipe and have a great Christmas. I know it’ll be yummy! Oh Jane, this looks so delicious! I love lemon flavored desserts, so this is right up my alley! Thanks for sharing your recipe! This looks absolutely fantastic! I am saving this recipe and plan to make it for New Year’s! Okay, this is definitely my type of recipe. 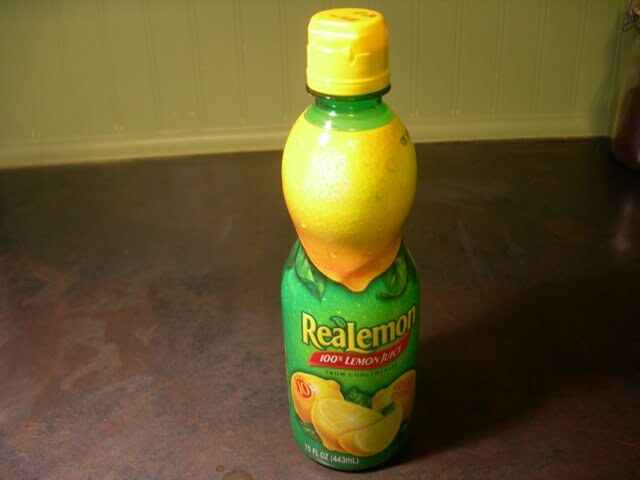 I love lemon and sweetened condensed milk. Thanks for sharing.